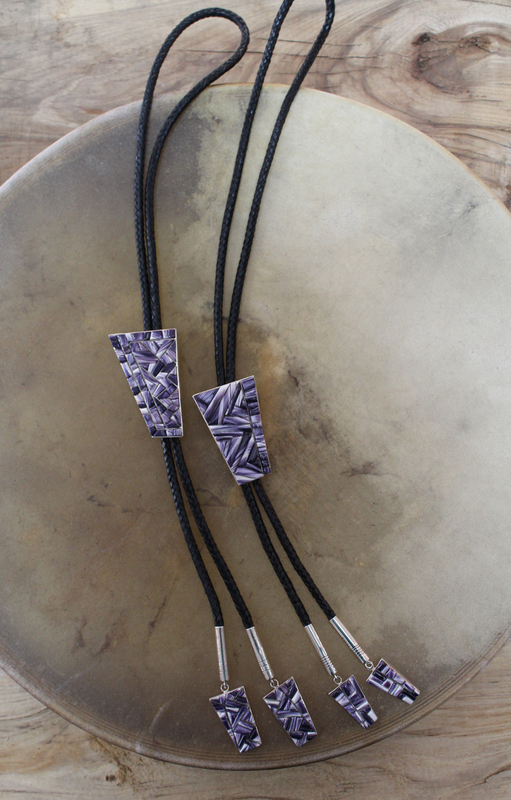 This magnificent large lightning men's bolo is handcrafted with hand cut Wampum pieces that are cornrow inlay design. 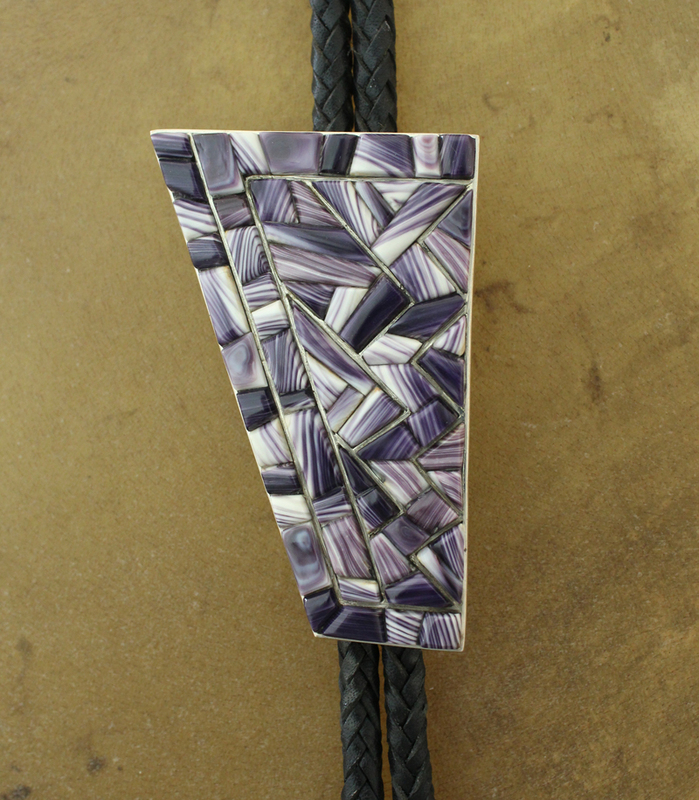 The wampum is inlayed in a geometrical design. 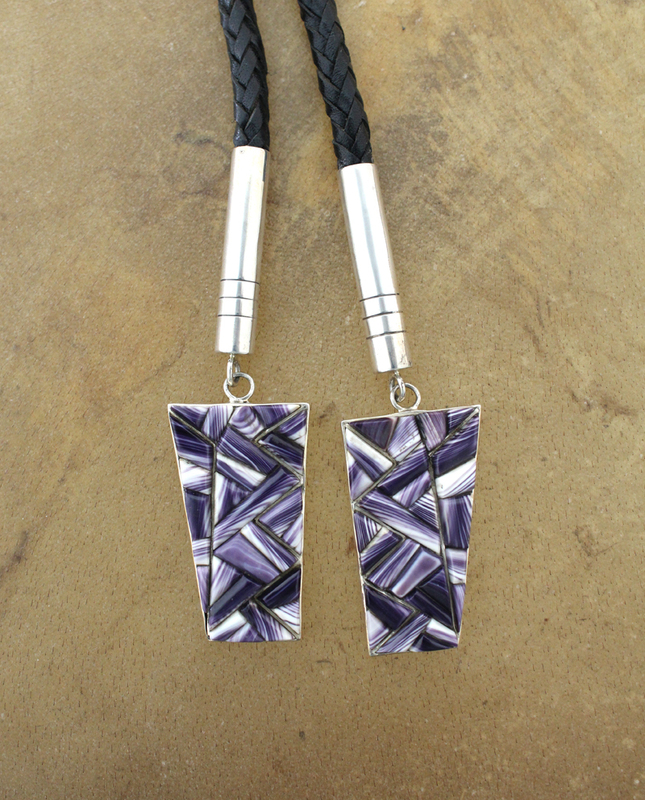 On the ends of the braided leather string of bolo is a sterling silver aiglet with hanging Wampum pendants.